Surprising, I thought the new Sigma has gotten rave reviews over the Tamron recently. 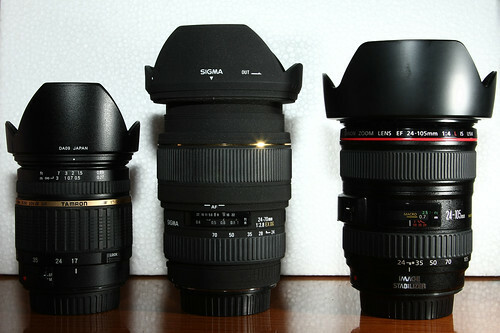 Or was that the Sigma equivalent of the 17-50mm..
the recent sigma will be the 24-70 f2.8 with HSM. Ya, has been rave, but turn down by it's price. nice try..i want to try it too one of this days.